I was curious to put together this ExpressVPN review as I just couldn’t believe the hype around it. Most “comparison” sites claim their service to be fast, secure and fully anonymous. Is it really fast, secure and private as promised? Do they allow torrenting/P2P and streaming Netflix? Do all of their servers come with industry standard OpenVPN tunneling protocol and AES 256-bit encryption? Does their monthly subscription really cost that much or is there a cheaper way to get it? As you can see, they claim to not keep any “important” log files like DNS queries, IP addresses or metadata. Keep in mind that vast of majority of VPN providers try to explain in their TOS that they don’t keep log files, but we’ve seen some VPN services that have VERY questionable logging policy (hint: PureVPN & F-Secure Freedome). ExpressVPN also operates under a rather stringent “No Logging” policy. Basically, this means that they do not track or store your personal data whenever you are using their services. From the second that you log onto your ExpressVPN server, your information (or at least most of it) is encrypted and hidden from hackers, government agencies, and yes, even ExpressVPN themselves. And after reviewing dozens of other VPNs, I have found that this is a pretty standard practice that is actually necessary to ensure an optimal user experience. Probably the most important strength that ExpressVPN has is their fast upload and download speeds. With a 100 Mbps connection, we’re able to get a download speed of 83.15 Mbps which makes them one of the fastest VPNs we’ve reviewed to date. Always take speed testing with a grain of salt because it relies on too many variables, such as your physical location, your computer specs, your Internet connection etc. But since I compare VPNs with the same method (same computer & Internet connection), I can truly say that ExpressVPN is very fast. Where ExpressVPN really shines is in their wide selection of servers, so you can easily change or hide your IP. With over 3000 servers operating in 93 countries across 160 different cities (and counting), ExpressVPN is rivaled only by NordVPN, PIA and TorGuard in terms of the sheer volume of servers they offer. If there is a server you need, chances are, ExpressVPN has got it. You can also check their server locations in real time. For anyone using location-specification specific activities (like gambling), ExpressVPN also offers a very handy Kill Switch that will automatically kill whatever software or websites you were using in the event that your network connection is lost. Meaning that even when you’ve lost your protection, you are still protected. While I am sure there is some device out there that remains unsupported, you would be hard-pressed to find it. Founded in 2009, ExpressVPN International Ltd is located in the sun-kissed and (almost) the tax-free British Virgin Islands. The fact that they located in a tax haven and have almost no information regarding their founders or employees can raise a few red flags for the cautious consumer. However, ExpressVPN’s secrecy should not be a cause for alarm. Due to the very nature of their services, most VPN companies go to great lengths to hide their identities and impede unwanted investigations. With the current landscape of data security becoming more tumultuous by the day, it is almost a requirement for VPN providers to limit the accessibility of their more private information. 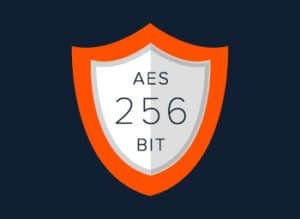 In order to ensure that your data protection is at the highest levels, ExpressVPN uses a strong 256-bit AES encryption… Like a super strong encryption. Known as Advanced Encryption Standard or AES, the 256-bit cipher that ExpressVPN utilizes all but eliminates the possibility of a brute force attack (and most other attacks for that matter). When the CIA or FBI decides that they want to protect the transmission of sensitive data, they use an AES-256 encryption. If security is one of your primary concerns, you can rest soundly knowing that ExpressVPN is not at risk of being compromised anytime soon. VPN tunneling protocols are the method that your device uses to connect to a VPN server. While most users will only need the default (and most secure) “OpenVPN”, ExpressVPN also supports SSTP, L2TP/IPsec, and PPTP protocols. For users with more technical requirements, this is a great feature to have because it allows you to establish a connection that is tailored to meet your specific needs (typically, speed vs. security). By de-jargonizing everything I wrote above, I can safely say that yes, ExpressVPN is secure and safe VPN. This is a huge plus for many users. While other companies like TunnelBear have officially stated that they do not allow torrenting, ExpressVPN has made no such statements. After setting up my service with ExpressVPN, the first (and clearly most important) thing that I wanted to find out was whether or not their Netflix compatibility worked as advertised. Much to my surprise (and delight), I was presented with a queue of films and TV shows that was wildly different from my regularly scheduled programming. It should be noted that not all servers are compatible with Netflix and you will probably run into a few proxy errors when trying to stream Netflix from non-U.S. servers. In an industry that suffers from notoriously bad customer service, ExpressVPN’s 24/7 live support is one of its biggest selling points. Unlike many providers who rely on outdated contact forms and laggy email chains, ExpressVPN boasts a 24/7 365 live chat feature that has been consistently rated one of the best in the business. But, for whatever reason, ExpressVPN decided that it would be beneficial to continue offering the more traditional contact forms and support emails. So it’s important to note that if you do run into any issues when you opt for one of these archaic methods, ExpressVPN will be quick to redirect you to their live support team (as they do in the following correspondence). The Orion Router or TOR is a network designed for one thing and one thing only. 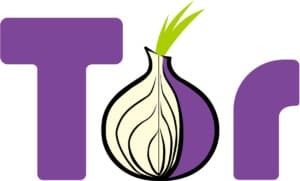 When using TOR, your traffic information is encrypted across multiple servers and your data is relayed so that it is difficult (bordering on impossible) to track your actual location. If you are extremely concerned about your personal security, ExpressVPN allows you to combine the TOR networks on top of your existing VPN in order to maximize your privacy and all but eliminate vulnerabilities in your data’s security. In countries with Draconian censorship laws, this added layer of security can (literally) be a lifesaver. 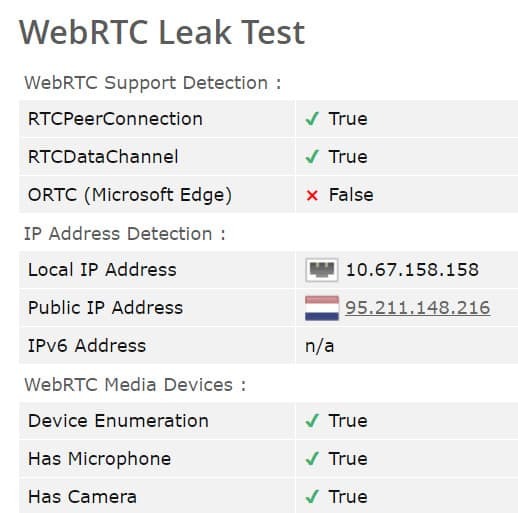 Last, but not least, we also tested ExpressVPN towards multiple DNS, WebRTC and IP leaks. If there is one other complaint I had about ExpressVPN it is that they only allow you to simultaneously use their services on three devices. While it’s unlikely that this is an issue for users who are only interested in personal security, the limit can become frustrating whenever you are trying to ensure the security of your entire family’s data and devices. This is especially bothersome when you compare ExpressVPN’s device limit to those of other companies who consistently offer 5-7 simultaneous connections. While it’s far from a deal breaker, it is an issue that I would like to see resolved sooner rather than later. Similarly to NordVPN, ExpressVPN remains pretty anonymous company. There are no visible phone numbers nor business contacts on the website, yet they serve millions of customers. However, remaining anonymous in the VPN business is a pretty common thing. Businesses tend to do that because of the different laws and their motive to protect their customer’s data. 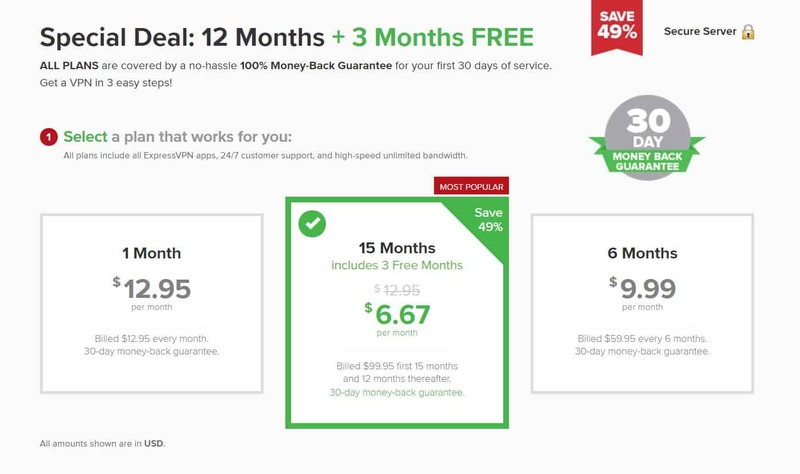 When a company boasts as many features and perks as ExpressVPN, it shouldn’t shock you to find out that they charge a premium price for their services. Here’s how the pricing plans break down. However, if you are willing to keep a watchful eye on their website, you can occasionally find great sales that reduce the total cost to $6.67/month or lower. But it’s important to remember that, as the old adage goes, “You get what you pay for”. And there are no exceptions to this rule when it comes to VPN providers. Ease of the VPN software: Very beginner friendly and simple. Hidden fees & clauses: None found. 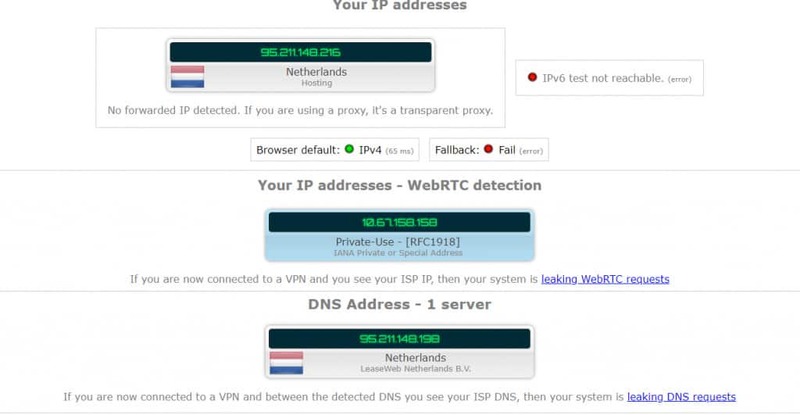 DNS leaks: DNS Leak Protection feature (free). Tunneling Protocols: OpenVPN, IPSec, PPTP & L2TP. Yes, I do recommend ExpressVPN. They offer a fantastic service that is filled with the wide array of features sure to delight both novice and expert web-surfers alike. And with such a large pool of servers (3000+) to choose from and an effective team of customer service agents at your disposal, I feel that you get what you pay for – which is a lot! My only concern is the price point of this service, the lowest you can go is $6.67 per month, but compared to services like NordVPN or Surfshark, it’s very costly. They range from $1.99 to $2.99. P.S. I’m always interested in user-reviews so if you’ve used ExpressVPN before, don’t hesitate to leave your review below. If your experience matched mine, cool. If it didn’t, that’s fine too! Recently, the Chinese government has been cracking down on VPNs which it sees as a threat to its' absolute intellectual sovereignty. Lots of domestic services were shut down and lots of foreign VPNs were blocked in short order. ExpressVPN actually stopped connecting for a few days during the sting. Right now, the number of servers that I can reliably connect to is down to 4 or 5 but that's really all I need. Speed is decent enough, especially considering that I'm in a metropolitan area. I can watch Youtube and Netflix with decent quality. Torrenting is fine; I get 60-80% of my normal speed if I'm going through the closest accessible node (Hong Kong). Overall I've been very happy with the experience. I highly recommend it for anybody traveling to or living in China. Great! only two downside.. but still worth the price! Before heading to ExpressVPN, I was trying out NordVPN. I gave up after two days and had it refunded due to super low speed. (TBH, NordVPN and ExpressVPN online customer support is equally good) ExpressVPN really has the great speed I needed.. and yeah speed and safety is what I needed and without any, I wouldn't even bother to write any reviews. Initially, I just bought a month to see the speed performance. OUTSTANDING! So I went to purchase a year. After a few days, I notice my end date was not 15mths but only 12 mths. Hence, went to online chat to extend and it just took 10 secs to assist on my request and 10 mins to complete it. The only downside is, it's quite expensive compare to all others VPN and only can use up to 3 devices simultaneously. As of price is, I have no regret about using ExpressVPN. OK as a VPN when it is working. When you have a problem, they have NO TELEPHONE SUPPORT AT ALL. Their chat support is terrible. Their agent knew nothing and constantly had to go ask someone else for help. They couldn't help either. Spent the entire afternoon (3+ hours) and they still could not fix it. Some other VPN has to be better!!!!! I've been with ExpressVPN a few years and they were great initially but in the last year things have gone downhill from my perspective. The up/down speeds are still good but I'm often pestered to complete Captcha tests, that's on Google's services (.com, .co.uk and scholar.google) and occasionally on alternate search sites such as Bing - of course duckduckgo works perfectly but sometimes the results aren't quite so relevant. I think this is more of a problem for UK servers because it happens less often, but still does happen, if I connect from say Holland. However, I don't want to slow the connection by using servers in nearby countries, especially as that can be a pain with languages changing around and less relevant search results (I personally only want anonymity down to the level of country). My biggest gripe though is that I can't view/listen to any BBC programs using expressVPN's servers. I'm already in the UK, but I don't want to have to disconnect to access BBC programs, especially as I have it connected at the router. After installing and using ExpressVPN, I repeatedly experienced denial or dropping via a kill switch. Technicians were quick to help when I asked. And kept responding with suggestions. Now it's working flawlessly, seamlessly with my browser. I want to thank the staff of ExpressVPN for persevering with the quirks of my machine/software until the problem was solved! Great Experience! Thank you! Being in UAE and connecting on Etisalat not every vpn works, that too on different devices and platforms. ExpressVPN manages to bypass all these restrictions. I have used customer service a couple of times and they are very helpful. Streaming no problem. Since there are plenty of servers speed also is hardly an issue. The only time it has a problem is that the ExpressVPN app will not connect on IOS devices... it connects but browsing won’t work. For this issue they have a manual setup to install vpn profile to the iPhone. Once this is done it’s again simple to connect, however locations are limited but speed is reliable. Very satisfied after using for 1yr and most likely I’ll renew with them again. I got this VPN over NordVPN because this one apparently boasted the higher speeds, but I can tell you that's a lie. Not only does it slow my downloads to a crawl, but many of my websites are slow to load, Discord lags and my video games take forever to start up. Basically, everything I bought the VPN for--to protect my gaming and personal info when downloading--is slowed to the point of being borderline useless. This isn't even torrents being slowed either. I'm talking legitimate downloads. Very good. Your best bet. While they're not perfect (who/what is? ), this one actually works. The desktop app does not work correctly. Not for servers/connection (PHEW! ), but if you don't use TCP/UDP, then you cannot use the connection lock (blocks connection when/if net goes out), else your local network (i.e. computers, printers) won't work. Works 99% of time and very few if any dropped connections. Reconnects fast. VERY good speeds, often 90-95% of my connection. Skip CyberGhost (historically slow and unreliable connection) and Nord (YouTube walletstuffers, IMO). Try Express and the other ones first. Reliable Great VPN experience over 6 years. Been using ExpressVPN for nearly 6 years. Professional company. It is not cheap but is a very reliable service and has hundreds of server locations. As a Mint Linux/Ubuntu Linux user it is simple to download and install from the deb file -and simple to use from the terminal (e.g., "expressvpn connect canada" and can be controlled from the available web browser extensions-(Firefox /Chrome). This is a smart company and they take care of their customers well. Well, after a bit of research and wanting to secure my IP info, I went with ExpressVPN. Thanks for your info and breakdown. I'm not what you would consider super tech savy, so it was extremely helpful. My only issue was logging into my netflix account, NETFLIX would not allow me to stream. I pay for my netflix subscription and it stated I need to turn off my VPN. Well, not sure how as I installed it on my router...unless I unistall the VPN. Any suggestions of reasonings on why I cant stream a site I pay for? After contacting their customer service, I just had to rate them in random websites. Their customer service is very, very good. Quite understanding, precise, and clear. I tried the vpn for one month, just to see how it fares with the ISP in our country, and it was very good and fast when I was able to connect (our ISP can be unstable because of the weather). The app was so easy to set up, too. I was mainly using this for Netflix. Sadly, I had to part ways because I feel like I couldn't fully use it with the state of our ISP and household, and the monthly price is painful. Contacting their live chat support was quite easy, and after explaining my situation my refund was approved. Shout out to Gabriel! Although they accept bitcoins, as of July 2018, they still use Bitpay (instead of the superior open source BTCpay). As everyone knows, Bitpay went rouge by dropping BIP21 payment protocol support and requires an https connection and an email address to complete payments, which works against privacy. I am very impressed with the service. Had PIA for a year and although the service was ok, it was nothing close to Express. Tried Nord for a month after using Express for a month earlier as many were claiming Nord was much better than Express, but I found I was much more comfortable with the Express VPN. No privacy issues up to this point and it is by far the fastest I have found where the VPN is concerned. It’s a total package. Best I've found, nice features. I’ve used several VPN’s including NordVPN which was terribly slow in comparison to ExpressVPN. So far right out of the gate this thing has worked perfectly. The fast servers is my #1 reason for using it. What good is a VPN if it slows your internet connection to a crawl? It is pricey, but I did get in on the 15 month deal. NordVPN is cheaper and if you are willing to deal with the speed of that service, which I was not it’s probably okay. I like the kill switch and even though I wish there was more than 3 simultaneous connections I’ve learned to deal with that. I can see if you have a family that this would be an issue though. By the way they have GREAT customer service. I initially signed up for the month to month plan because I was not really sure. I contacted them and got a response and a solution within 2 hours. I highly recommend ExpressVPN. I spent hours trying to make their software work on a Win XP x32 PC that i need to keep legacy software running and wanted sme protection with a VPN. I spent hours trying to get their software to work but no success. The best their online chat support could do was to advise rebooting and another attempt at reinstall. No technical suggestions. Deciding to give up they then said a refund of my payment made hours earlier would take 7 to 10 days. Good overall review, however; I do think you missed the mark for those interested in true online anonymity, that is how do I pay for the service in a way that cannot be tracked back to the payee. Many sites will allow payment with bitcoin or gift cards that can be bought with cash. I think it would have been helpful to some people to include that information. My experience with ExpressVPN has been really great so far as I have encountered no problems yet. The VPN does all the things I want it to do for instance, it doesn’t keep logs, there are a lot of locations to choose from and the speed is great. There’s only one thing I don’t really like with this VPN is that it has been blacklisted on many sites and it has a pretty high spam risk score on many websites. A bit pricy, but worth the money. Although one of the more expensive options, Express VPN has served me well on regular trips into China, much more reliable uptimes than other popular options which often get blocked by the country wide firewall. It also maintains a good number of servers worldwide help minimise ping and with upload and download speeds. Currently using ExpressVPN as my daily driver to keep my connection secure and to keep my IP safe from DDoS attacks. The quality you get is absolutely excellent and the speed is perfect for gaming and uploading aswell, the only downside is that it is a bit more expensive than other VPN’s but you get great quality in exchange. The support is excellent aswell and they answer my questions usually within 24 hours. As much as ExpressVPN is excellent for speed and when connected security where I am using it I have had nothing but trouble. Although we have had several chats Express seems to be at a loss on how to overcome the ISP’s. I am one of a number of users here that struggle. Maybe in general Express is great. But I feel they are unable to deal with those places that are more difficult. I started using ExpressVPN about a year ago when I decided to cut the cord from cable and switch to streaming television exclusively. I decided to go with Kodi, which is open source streaming software. I quickly found out that many of the shows I wanted to watch were IP blocked, and I didn’t reside in the country they serviced. After some time of using it, I noticed the connections were always solid with no drops and amazing speeds. I often found ExpressVPN provided an even more solid connection than my own home connection most of the time! I would recommend them for their speed, uptime, choice and customer service. 9/10. What can I say about expressvpn.. I have been using ExpressVPN for about 6 months. It has been an amazing journey so far, they have really fast connections and super user-friendly UI. They have a wide variety of countries to choose from, but I mostly use USA so I can stream on Netflix. They are online all the time, which means you will never be in a position that you need it, and you will not have it. I started using ExpressVPN just few months ago and I have no complaints about it. I’m using it on both iOS and Windows – pretty smooth and flawless. 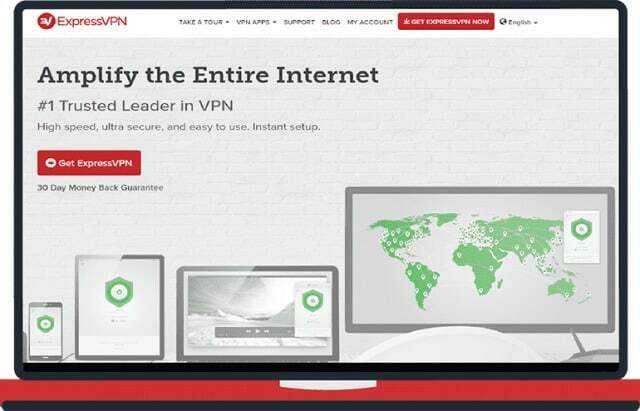 I landed on ExpressVPN, because I was looking for a good VPN provider for myself to stay anonymous online. I was looking around and once a window popped with David’s face on it. I asked several questions from him and he showed me around their website and how to install ExpressVPN. Once installed I started tried it out and was amazed how fast it is. I have a couple of friends who use VPNs, but their download speed always shrinks when they connect themselves to another server. I have nothing but good words for this company. They are fast and reliable. 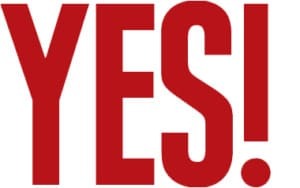 When I have some questions I just visit ExpressVPN and they answer all my questions fast. A definite must, if you want to protect your privacy. I read it was the best VPN service for China on this website and many others. I get 3MB/S download speed if the network is great, as I said earlier the internet here is nothing special. I’m planning on trying NordVPN when my subscription ends. Some of my friends use it. It seems as fast and reliable as ExpressVPN and it’s a little cheaper. I debated long between PIA & ExpressVPN, but eventually went for the latter. I’ve used several of the VPN’s listed since I came to China a year and a half ago, but sadly the most memorable experience I had was using Express VPN, a paying subscription that I first used, with all sorts of problems. Started using ExpressVPN in december 2014 and I’ve never looked back. Their servers are fast and I really think they care for my anonymity. The customer support has always been friendly and quick when I’ve had questions regarding their product. They might cost a bit more than the cheapest providers, but I think they’re worth every penny.